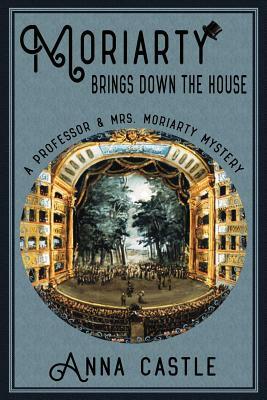 "Either my theater is haunted or someone's trying to drive me into bankruptcy "
Professor Moriarty's new client is the manager of a West End theater. He's three weeks away from opening his Chistmas pantomime, the expensive spectacle that pays for the rest of the year. But after months of freak accidents and spooky incidents, the cast and crew are convinced the show is cursed. Worse, he's out of money and the rent is due. The Moriartys leap to the rescue. Angelina takes on the leading role and James supplies the needed funds. While she works backstage uncovering secrets and grudges, he follows the money in search of a motive. Then someone sets Sherlock Holmes on their trail, trying to catch them crossing the line into crime. How far will Moriarty have to go to keep the show afloat? And will they all make it to opening night in one piece?